I’m sorry It’s been a bit quiet on the blog front, lots of creating going on in the kitchen means less time in front of the computer! 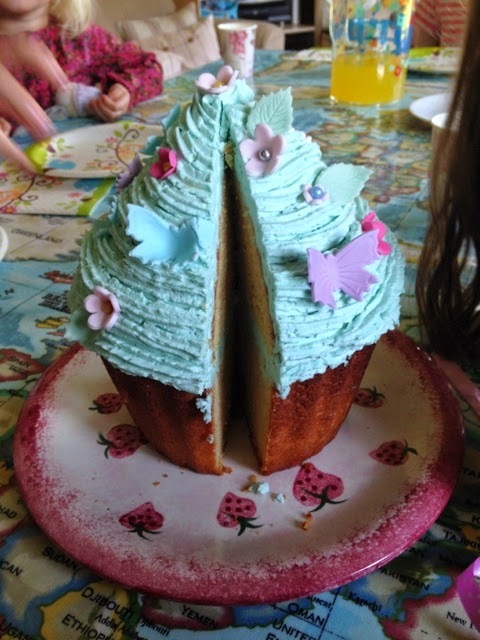 After a fabulous week in Tenerife we got back to my littlest daughter’s fifth birthday, I had left two cakes in the freezer ready to decorate when we got home. 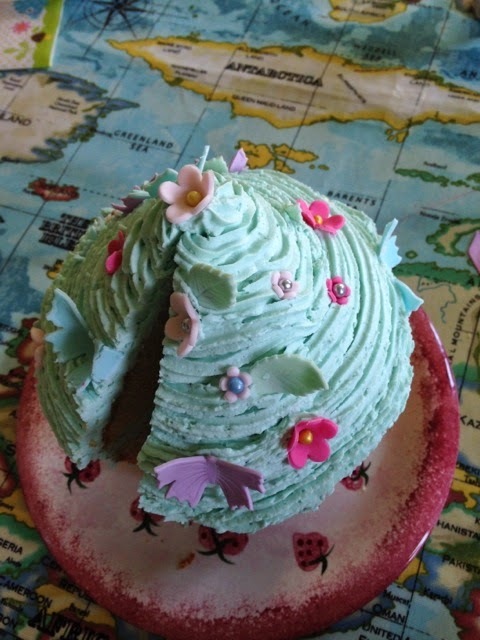 The first was a giant cupcake which was left up to her to decorate – she instructed me to make strawberry buttercream coloured blue, I then piped it whilst she created butterflies, flowers and leaves (and did a great job, all by herself). 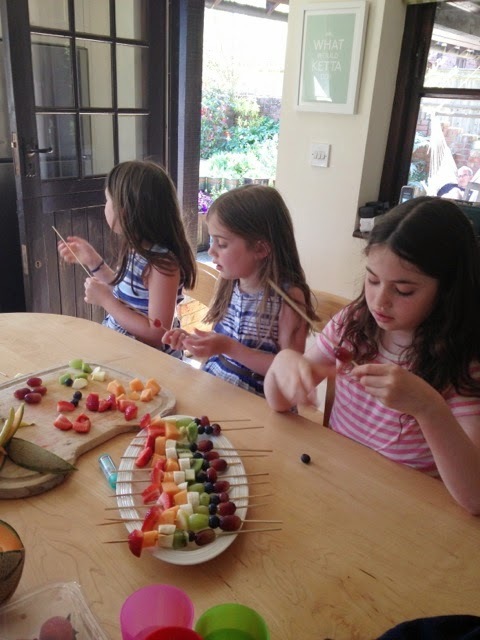 We also created a slightly healthier pudding making rainbow fruit skewers (and idea from Pinterest) which looked really effective and were gobbled up really quickly! The second was for her horse riding party. 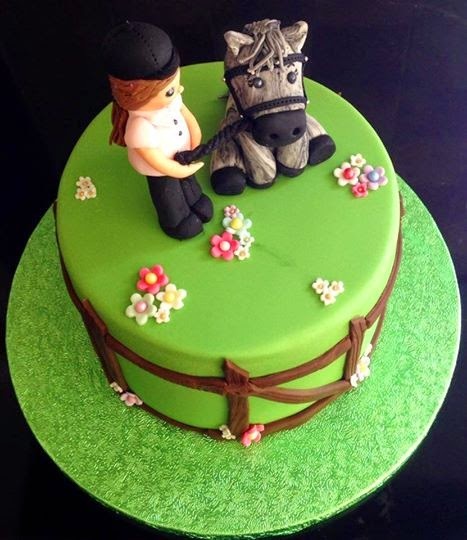 As we had friends staying as well, I had hurriedly modelled her and her favourite pony, Eddie, the night before we went away and bought a coloured board to save time so I could construct the cake the morning of the party. 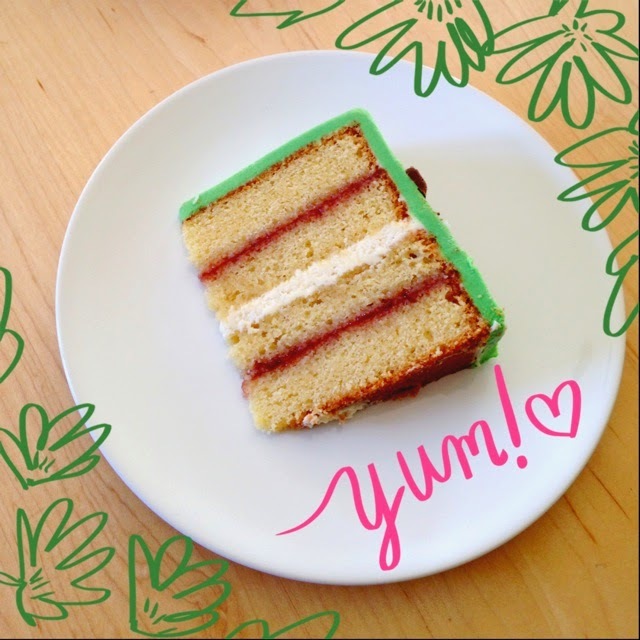 It’s rare I get to see inside my cakes, let alone eat one, but as you can see, I always use three layers of filling and I always use a double quantities of cake batter, baked in two tins to ensure a really luxurious, deep cake. 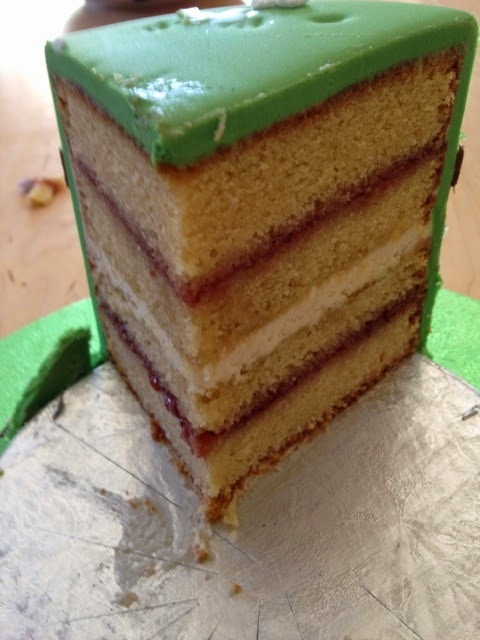 It also means you can get more portions from a smaller diameter cake as each slice is so deep. and Sprinkle Bakes: Dessert recipes to Inspire Your Inner Artist by Heather Baird so I have lots of delicious bedtime reading! I was teaching on Saturday so made some lime and lemon macarons, raspberry and rose macarons and then a couple of recipes from Miranda Gore Brown’s book – lavender biscuits and Malteser cookies. Both are delicious, but the Malteser cookies are so quick and simple I thought I’d share the recipe here. Cream together butter and sugar, add the milk and mix well then stir in the flour, Horlicks, bicarbonate of soda, baking powder, salt and Maltesers. Bake for around 10 minutes unit golden, leave to cool on the trays for a few minutes before transferring to a wire rack.